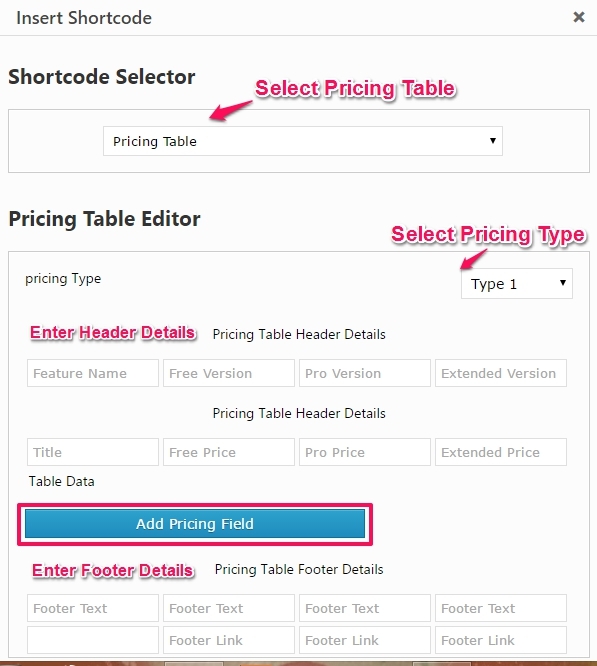 Custom menus are used to choose the menu in Primary Location that is in Header area of the site. 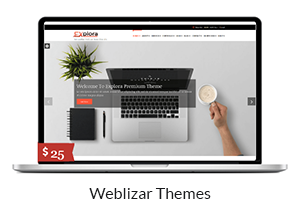 Explora focusing on the business template, awesome Carousel slider, Fraction Slider, Swiper slider, Powerful but simple Theme Options for full CMS control option to match your logo & website, wide layout, a different type of color skin, translation ready and much more. 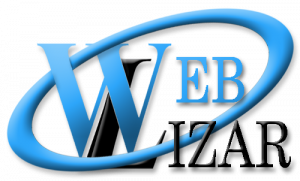 Explora supports Woo-commerce Ready theme. all settings are explained one by one. 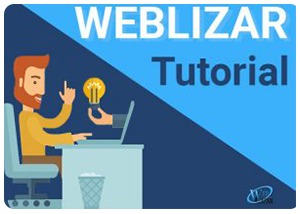 In this section, you can enable front-page, add a logo , logo size, Site Favicon, add a background image to breadcrumbs, add custom CSS, add google analytic code etc. Please go to Admin Dashboard → Appearance → Theme Options → General Settings. 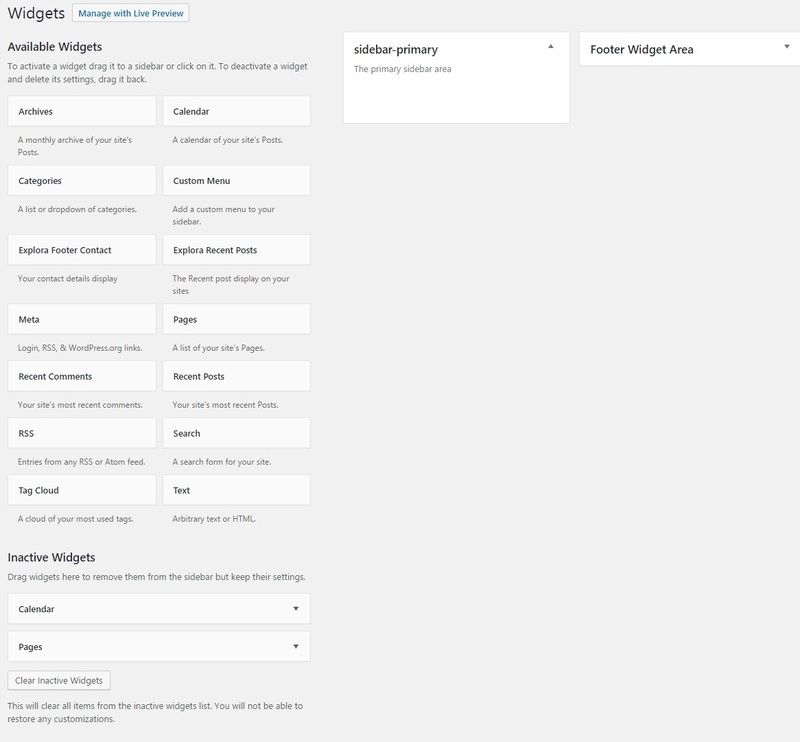 To Enable front-page go to Admin Dashboard → Appearance → Theme Options → General Settings. 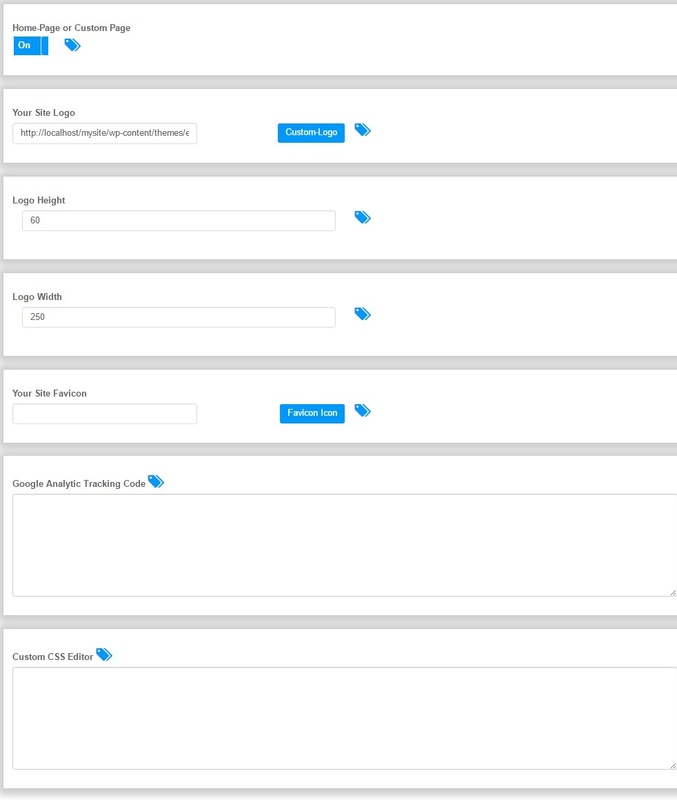 To add Logo go to Admin Dashboard → Appearance → Theme Options → General Settings. 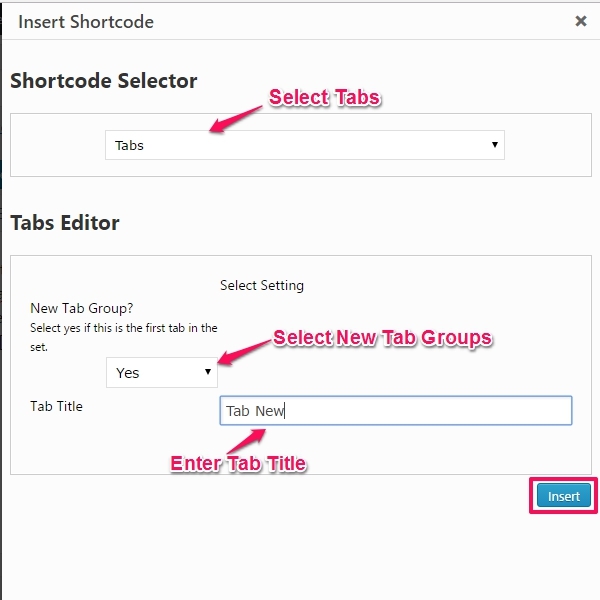 To add Favicon go to Admin Dashboard → Appearance → Theme Options → General Settings. 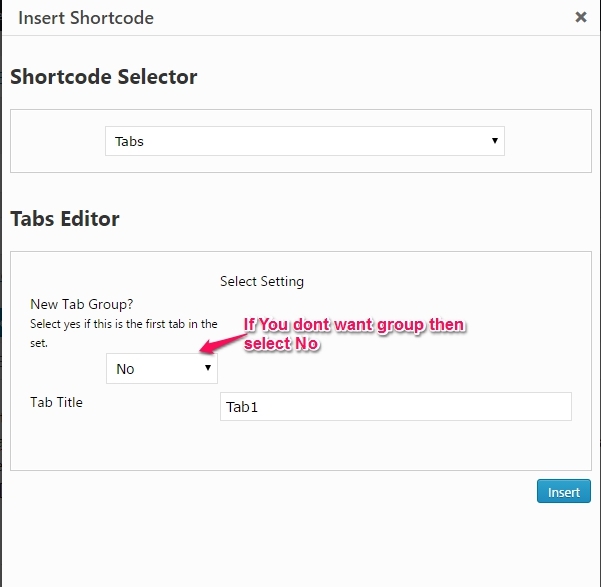 Note : Please add Google Analytic Code without script tag. Please don’t use >, < like symbol in custom CSS editor. Add a slide to Explora Slider. 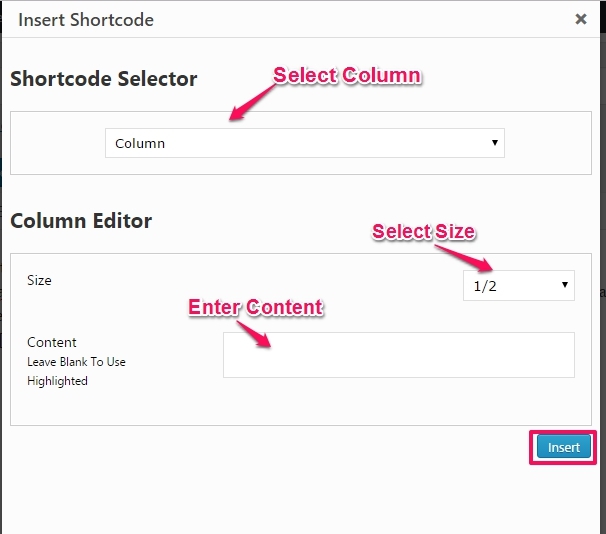 Go to Admin Dashboard → Explora Slider → Add New Slide and fill related details. Theme have three image slider with the different type of design. 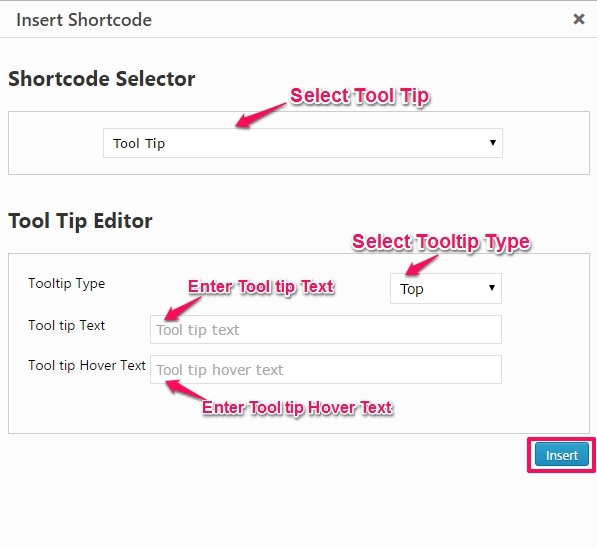 You can customize Explora Slider in Theme Options Settings. 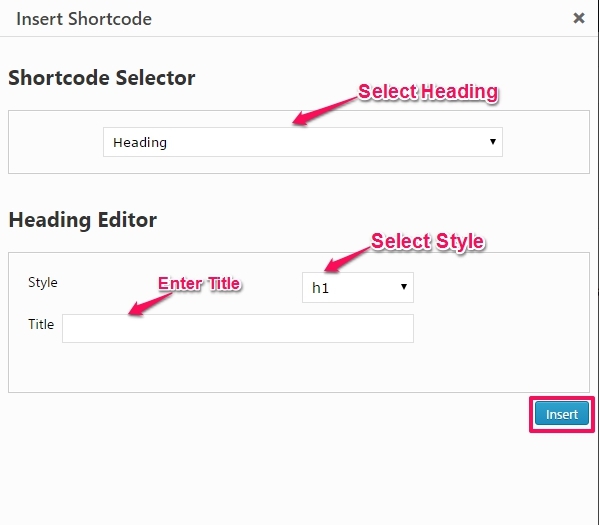 Go to Admin Dashboard → Appearance → Theme Options → Slider Setting. Add Service to Explora Services. 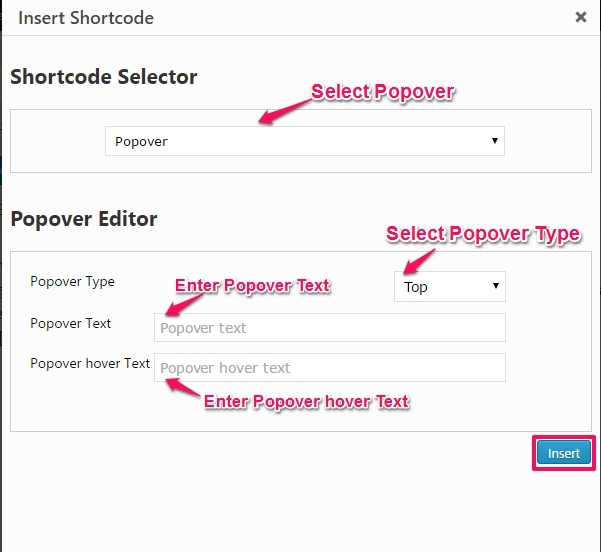 Go to Admin Dashboard → Explora Service → Add New Service and fill related details. 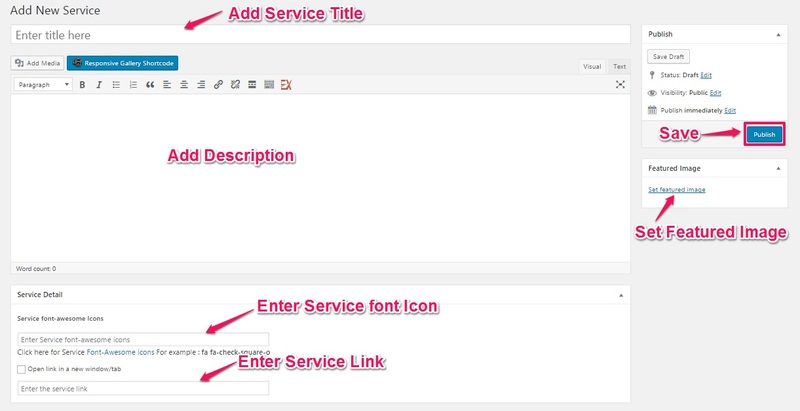 Note: To show services on the homepage you have to add font awesome icon or featured image if you do not add this field, Service will not show on homepage. 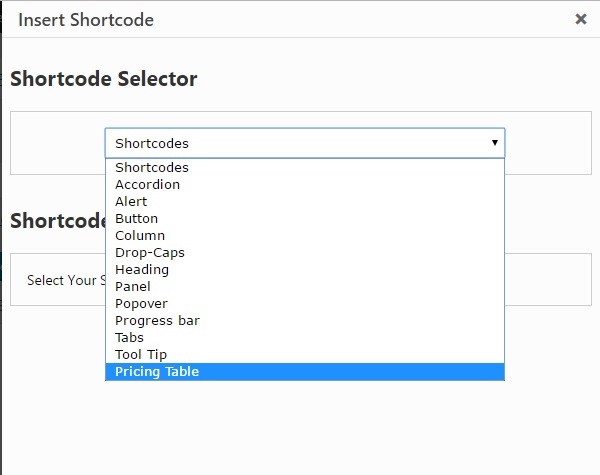 You can customize Explora Services in Theme Options Settings. 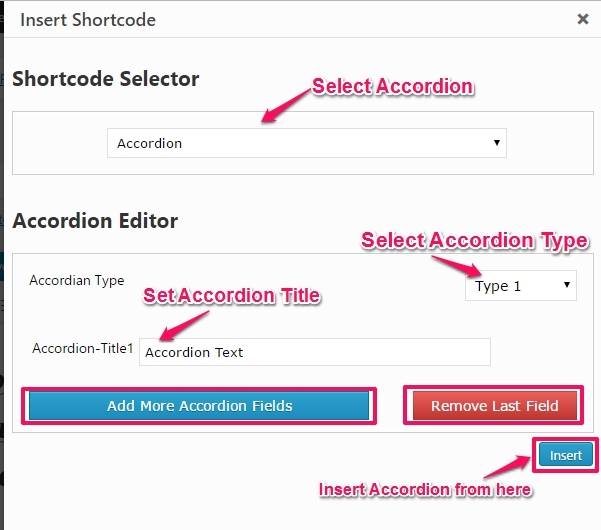 Go to Admin Dashboard → Appearance → Theme Options → Service Setting. Add Portfolio to Explora Portfolios. Go to Admin Dashboard → Explora Portfolio→ Add New Portfolio and fill related details. 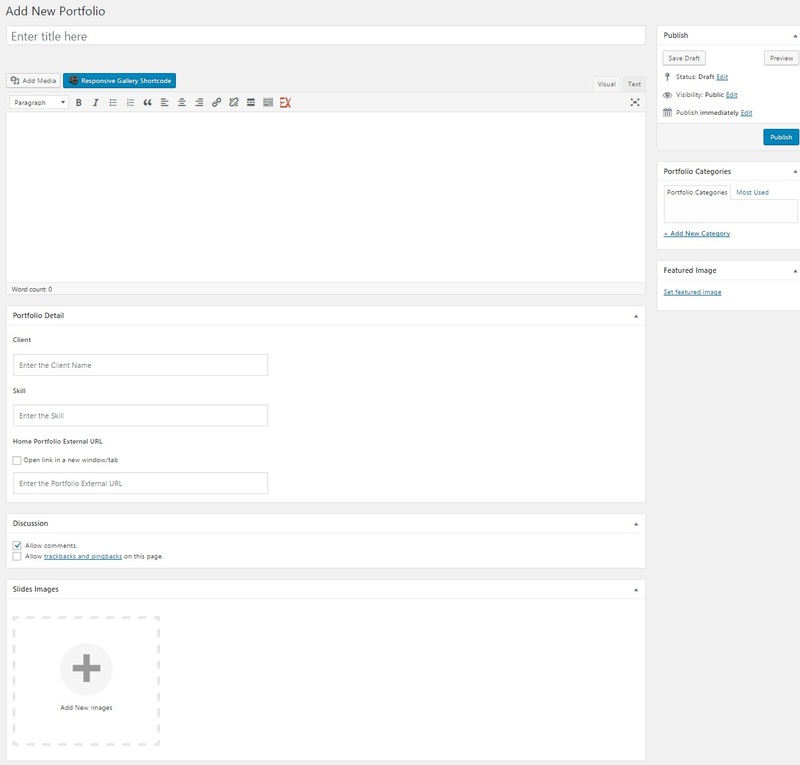 Go to Admin Dashboard → Appearance → Theme Options → Portfolio Setting . 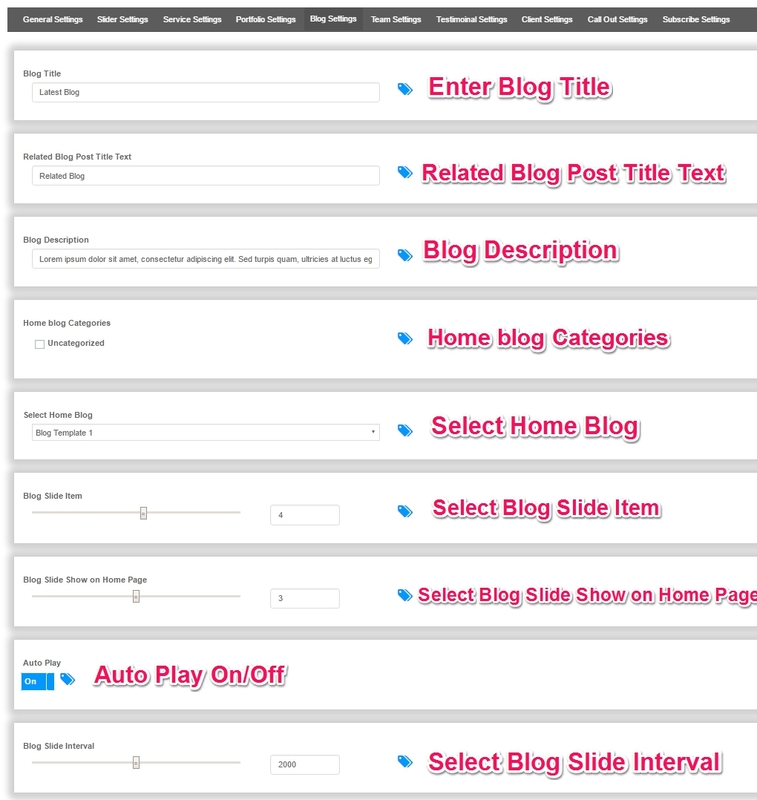 Go to Admin Dashboard → Appearance → Theme Options → Blog Option. Go to Admin Dashboard → Explora Clients → Add New Team and fill related details. 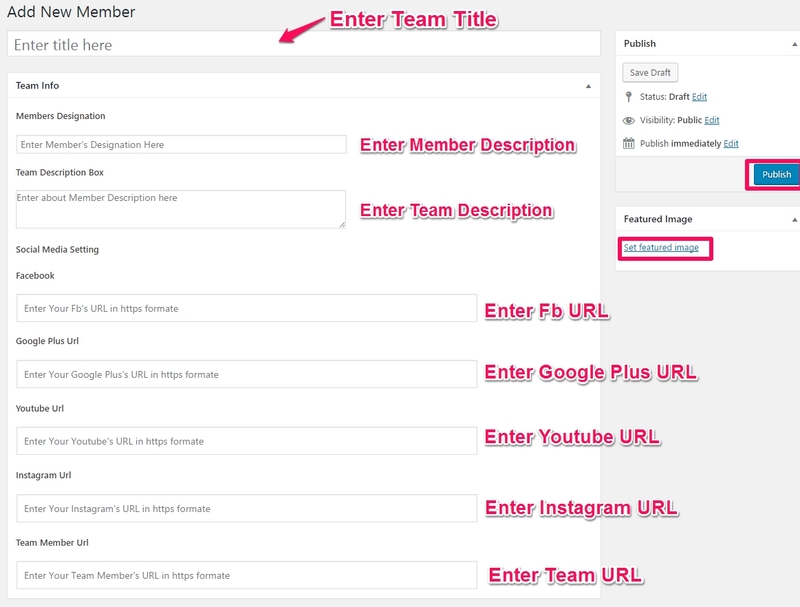 Go to Admin Dashboard → Appearance → Theme Options → Team Setting. Add Member to Explora Client. Go to Admin Dashboard → Explora Clients → Add New Client and fill related details. 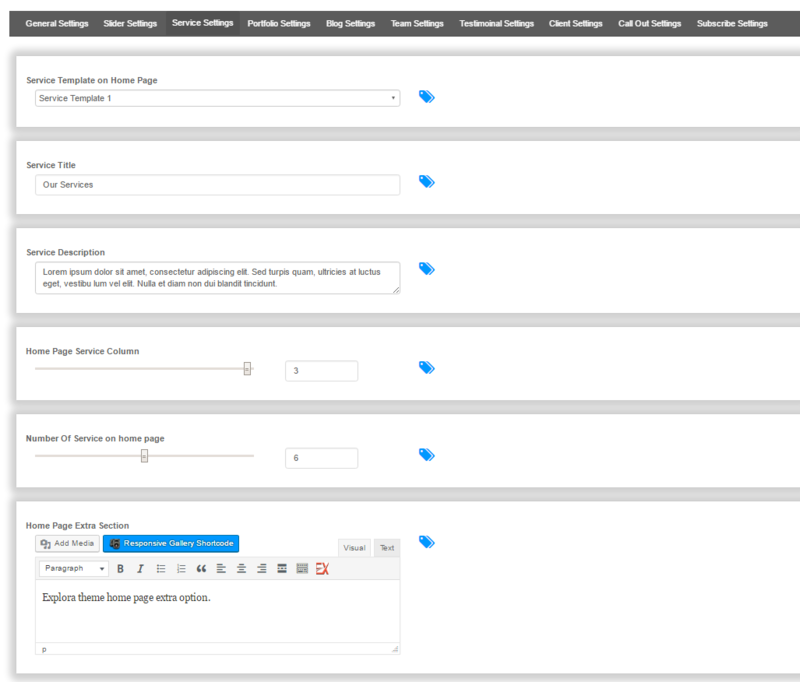 You can customize Explora Client Section in Theme Options Settings. 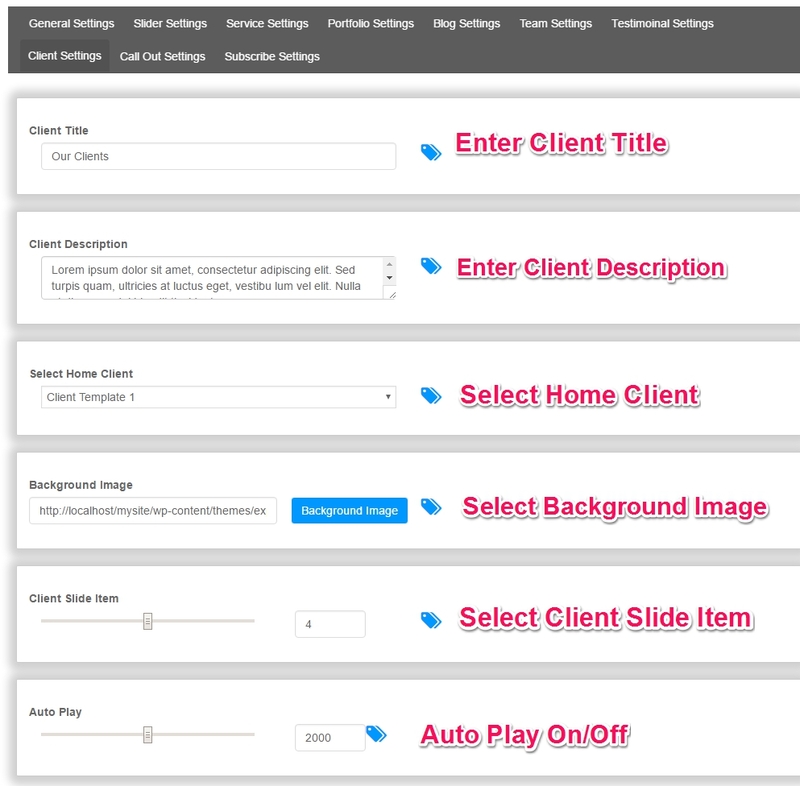 Go to Admin Dashboard → Appearance → Theme Options → Client Option. Add Testimonial to Explora Testimonials. Go to Admin Dashboard → Explora Testimonial → Add New Testimonial and fill related details. 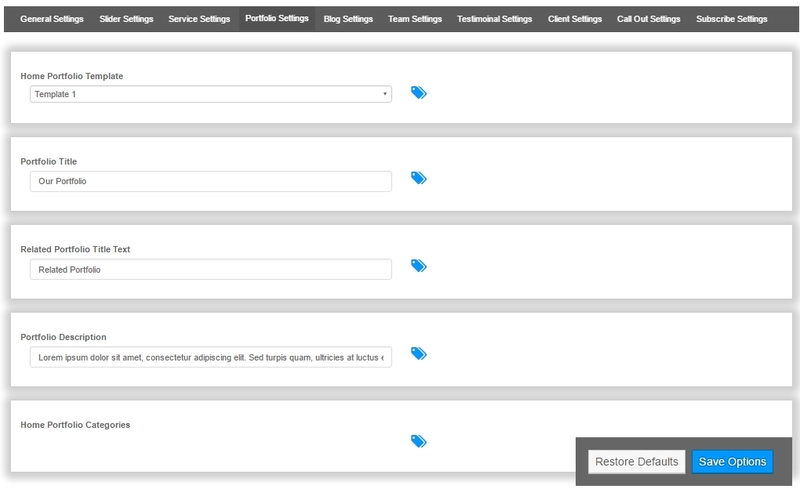 You can customize Explora Testimonial Section in Theme Options Settings. 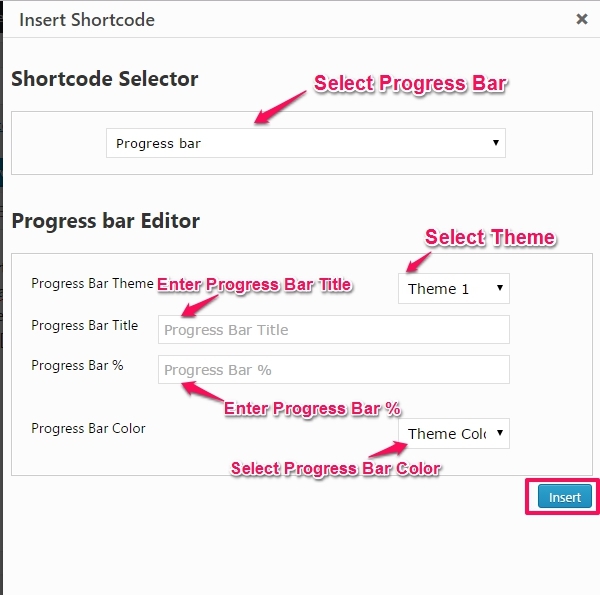 Go to Admin Dashboard → Appearance → Theme Options → Testimonial Option. 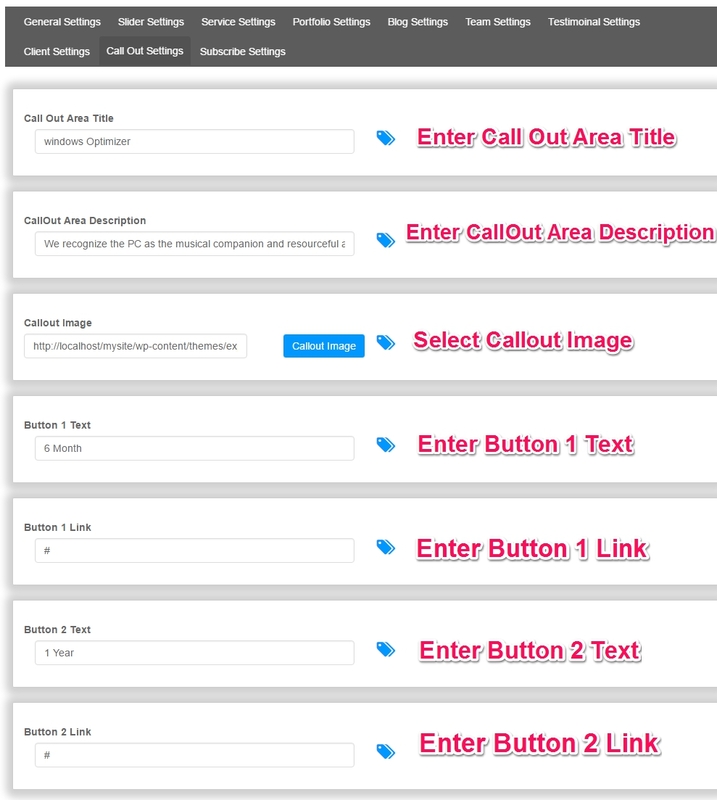 Go to Admin Dashboard → Appearance → Theme Options → Callout Option. 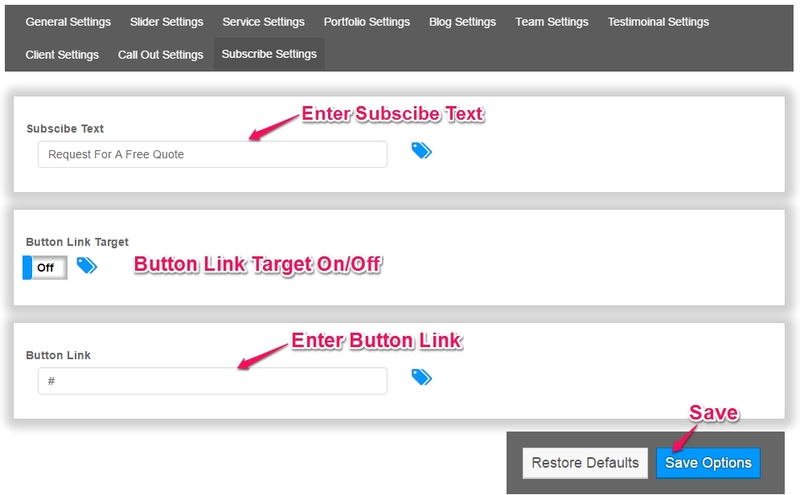 You can customize Subscriber in Theme Options Settings. 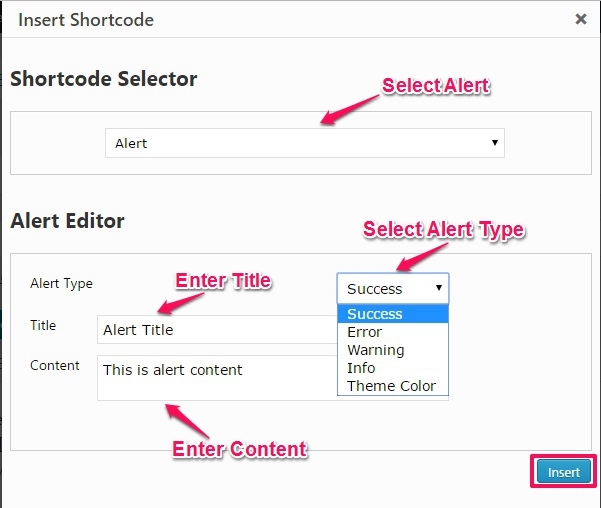 Go to Admin Dashboard → Appearance → Theme Options → Subscribe Setting. Please follow below image for Quick Subscriber Settings. 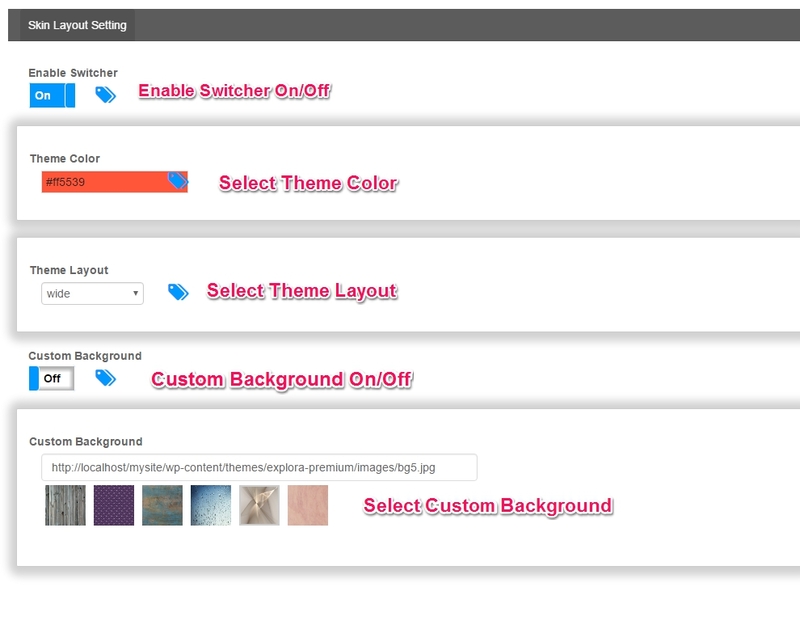 Go to Admin Dashboard → Appearance → Theme Options → Skin Layout Option. 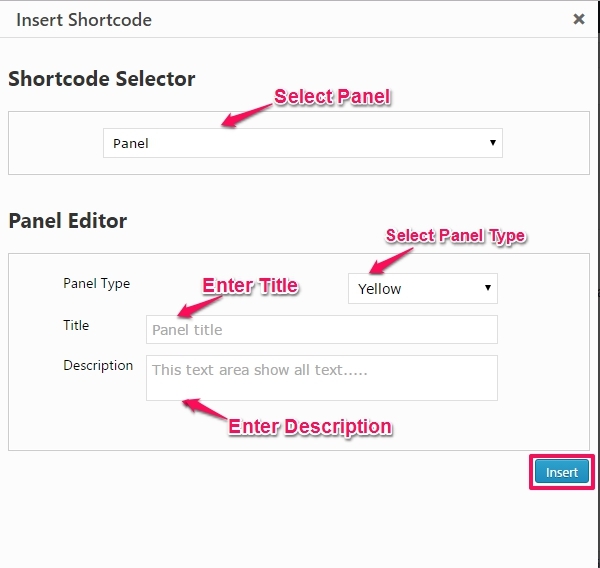 Go to Admin Dashboard → Appearance → Theme Options → Contact Option. Social Icon Can be Customize from Social Media Options. Go to Admin Dashboard → Appearance → Theme Options → Social Option. The Explora slider is always on the Top. 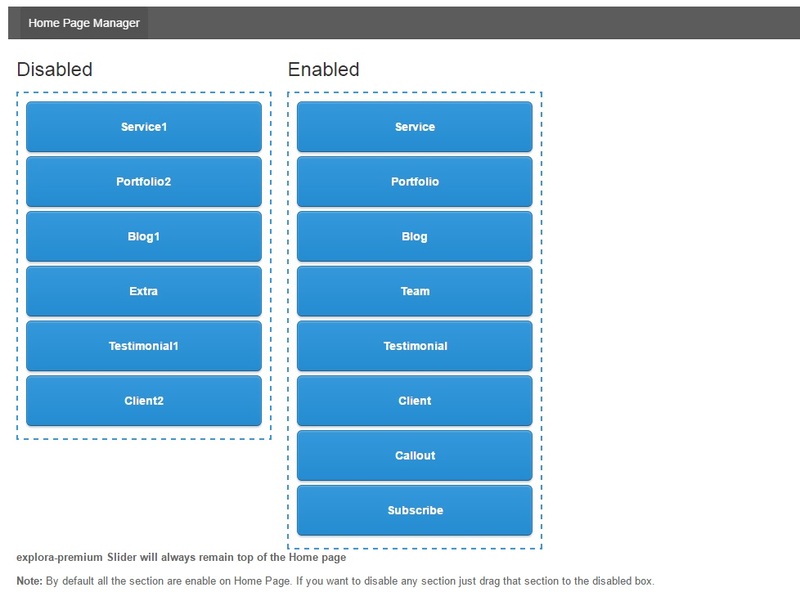 To access Home Page Customizer go to Admin Dashboard → Appearance → Theme Options → Home Page Manager. Explora provides an option to use your own Maintenance Mode. 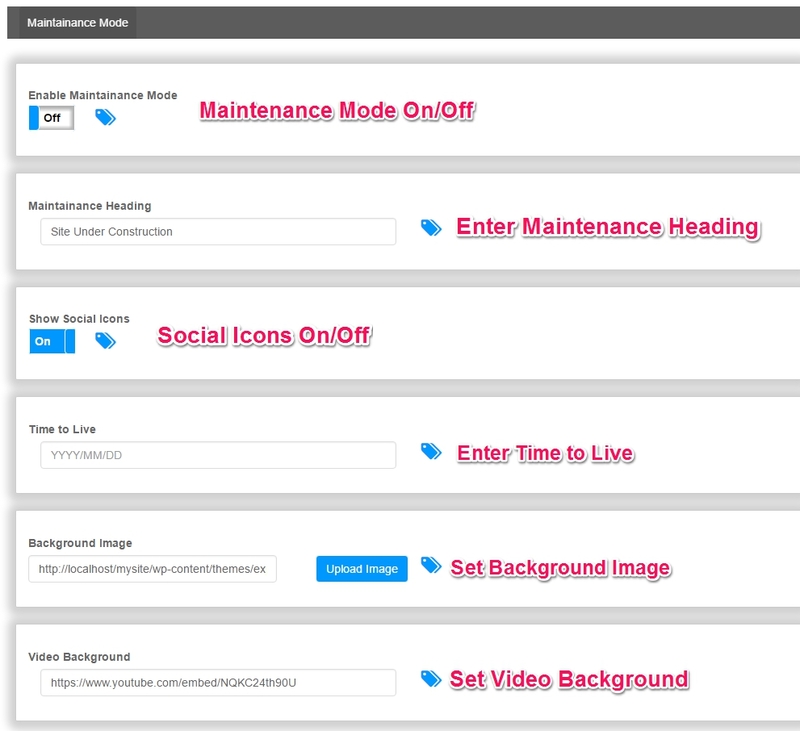 You can Enable/Disable Maintenance Page at Admin Dashboard → Appearance → Theme Options → Maintenance Mode. Please follow below image for Quick Maintenance Settings. 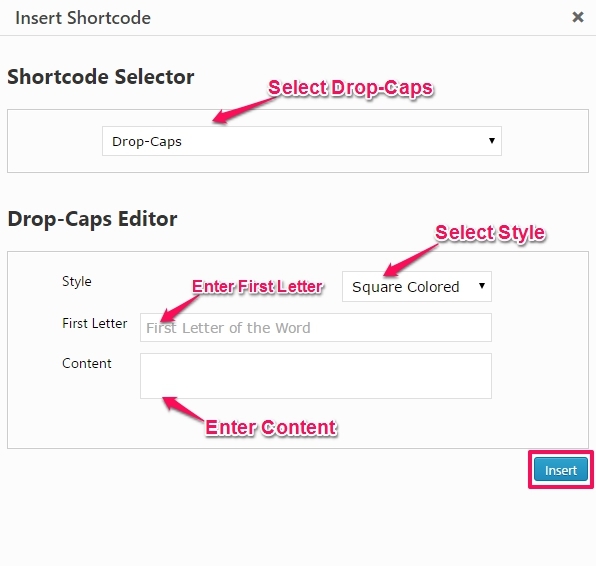 Explora provides an option to use your own custom URL for custom post types. 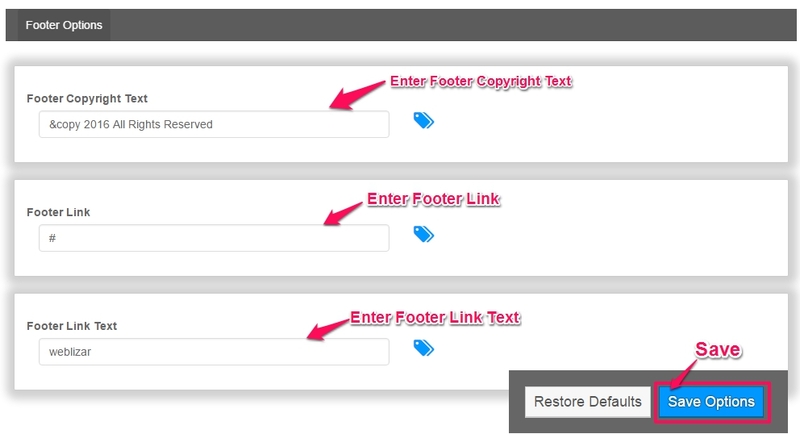 You can use custom URLs at Admin Dashboard → Appearance → Theme Options → Custom URL’s Options.